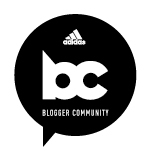 Home » Blog » Ali on the Run Show Episode 38: I’m Back! Ali on the Run Show Episode 38: I'm Back! 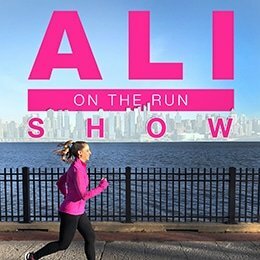 NEW: Follow the Ali on the Run Show on Facebook! Is this thing on?! It’s been a month since the last episode of the Ali on the Run Show, but I am so happy to be back. On this episode, I’m sharing where I’ve been, what’s been going on, and how I’ve been feeling throughout my latest Crohn’s disease flare. I also talk about the one thing I’ve been doing differently lately that I *think* may have to do with why I’ve started feeling better, and I talk about why I decided to take a social media break (which I highly recommend, by the way). It’s good to be back! 10 Responses to "Ali on the Run Show Episode 38: I'm Back!" Great show. Glad that you got out last weekend and had a great run in the park. I’m with you on the confusion and differing opinions from all sides of the medical/health food/diet industries about what foods/treatments are best for Crohn’s. I was researching flax seeds the other day and found so much conflicting information about it that it made me realize that most of the world doesn’t really know anything. We’re all just giving our best guesses for what works/what doesn’t/what’s good/what’s bad. I’m on week 3 of no meat, chicken or fish products (after reading that these can cause inflammation in the body) and feel pretty good. Conversely, my friend is doing the Whole30 diet and pretty much only eating those items because she was told the opposite – that they don’t cause inflammation. So stupid. All of it. Nobody really knows anything so you have to do trial and error on yourself. I’m glad the *one* thing you’ve tried seems to be helping though! Stick with what works for you. Throw out the rest. LOVE your outlook on the heart rate monitor @ Orange Theory. I haven’t yet gone to OTF – but I’m not sure I want to – it sounds SO intense. I’d rather work out as intensely as I feel comfortable either alone or with my friends. So glad you’re feeling better. I’m hoping to get back on the horse of healthy living as well. ALSO – (clearly commented WHILE I was listening) – I’m glad you found what you did & that it’s been helping you. No shame, girl. I hope that eventually they’ll legalize it for medicinal purposes. Thanks for coming out of the closet! I’ve found that it works so much better than benzodiazepines for my anxiety disorder and am working on slowly coming out to people to help change the stigma. I still feel weird about it sometimes. so it’s awesome that I get to hear about how it’s helping someone else’s chronic illness. Functional Medicine changed my life completely a few years ago and taught me how to use my own personal evidence to know what was right for me. I hope you find as much value in it as I have. Such an amazing and motivational podcast! Keep up the great work! I really like your blog and the content you are creating on it. We definitely share a common passion. I’m a copywriter and ex-journalist who fell in love with obstacle course racing last year, and I LOVE reading about badass women in sport, fitness and adventure. 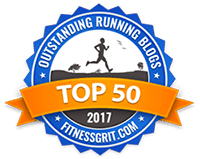 So I’m on a mission to find them, share their stories, and quiz them about their training, their motivation, and insider tips. So glad you’re having some good days!!! Even if you’re not 100%, those good days matter! Loved listening to your most recent episode…sounds weird, but it was good to hear your upbeat voice again! I’ve been struggling so much with fatigue lately during a flare. I used to use shakes to compensate, but lately they make me nauseous. Anyone fellow Crohnies find something that helps you with your energy when you’re struggling a bit?! Thanks for anything you can share! Nice to have you back! I’m also training for a summer race with SportMe running app which calculates distance, time, pace and calories. HI Ali, I commented a few months ago about KMBO testing. For me, That information is invaluable.I recommend more than anything getting food sensitivities dealt with because all it does is allow you information about what daily diet habits are creating inflammation. P.s. I’m here and can sympathize with you…we’re in the same boat foe life girl!